With 2019 now underway, it is worth reflecting on another extraordinary year for the Australian renewable energy industry. The industry experienced another record-breaking year in 2018, with $20 billion invested in large-scale renewable projects and close to 1.5 GW of rooftop solar installed, taking Australia past the magic milestone of 2 million homes with rooftop solar. 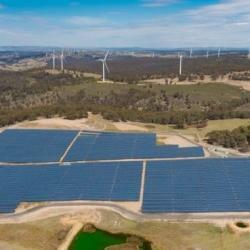 While the renewable energy industry still has its detractors, most notably on the right wing of the Federal Coaltion, nothing silenced the critics quite like the installation of hundreds of thousands of solar panels on Australian rooftops – or the billions of dollars of investment and tens of thousands of jobs brought to rural Australia by dozens of new wind and solar farms.The Clean Energy Council was particularly mindful in 2018 of building even stronger community awareness and support for renewable energy, working to improve how we engage with local communities to limit any negative impacts and promote the many positive benefits that renewable energy can bring. New initiatives and guides such as the Best Practice Charter for Renewable Energy Developments and the Community Engagement Guidelines for Building Powerlines for Renewable Energy Developments are just two examples of the work being done right across the industry to ensure that local people are included in and committed to the transformation currently taking place in their communities. We made strong progress on improving quality standards for the rooftop solar sector in 2018, raising the bar again for panels and inverters and establishing the Battery Assurance Program to help promote growth in the emerging energy storage sector. When added to the Clean Energy Council’s Solar Accreditation scheme and Approved Solar Retailer program, these initiatives are helping to further improve consumer trust and confidence in the rooftop solar sector, which continues to experience phenomenal growth right around the country. We also undertook a massive amount of work on market and grid reform, creating plenty of positive and long-overdue change. However, a number of new challenges and risks for clean energy also arose, highlighting the dire need to modernise and refurbish the grid. There is still a lot to be done on this front, and we will continue to work closely with our members and key industry bodies such as the Australian Energy Market Operator to make the grid a more agile, strategic, timely and coordinated system that better supports the efficient development, connection and operation of renewable energy projects. Federal politics plumbed new depths in 2018, with yet another national energy policy consigned to the political scrapheap following the overthrow of Malcolm Turnbull. One of the political highlights of the year though was the return of the Labor Government in Victoria, which sent a strong signal that voters want a committed clean energy strategy and will punish governments that aren’t on board. The NSW Government took a more outspoken and proactive approach to emissions reduction in the latter stages of 2018, having clearly learned some valuable lessons from the Victorian election result. This leaves the Federal Government increasingly isolated, with its state Coalition counterparts abandoning the hardline approach to energy and climate policy. NSW Energy Minister Don Harwin has even branded his federal colleagues as “out of touch” and said it is time to put science, economics and engineering ahead of ideology. The Federal Government’s current policy of forced divestiture, extending the life of existing coal-fired power plants and denouncing renewables means that voters will provide a clear choice between renewables and fossil fuels at next year’s federal election, making it an extremely important one for the future of our industry. With important state and federal elections, the continued build out of large-scale renewable generation and further strong rooftop solar and household battery growth, next year promises to be another massive one for our industry. If we can maintain and build upon the considerable momentum that we’ve gathered in recent years, the sky is the limit as to what we can achieve in 2019.